The Plastics Industry Association (PLASTICS) Zero Net Waste (ZNW) program recognizes companies that take steps to drive toward zero net waste in manufacturing. Divert up to 90% of their total waste away from the landfill. Engage employees in environmental efforts. Avoid landfill costs and generate revenue by recycling. Participating companies demonstrate leadership in landfill diversion, waste reduction and most importantly a commitment to ensuring valuable resources go to the highest and best use. As a ZNW program participant, they can broadcast those successes to their community, employees and customers. Members can view a PDF with complete information about the program, including modules, tools and resources here. PLASTICS works with members to pursue zero waste for the industry. To that end, PLASTICS, in close coordination with a cross-committee panel of members, developed the ZNW program for members working toward achieving zero net waste in manufacturing. ZNW provides members tools and resources to achieve maximum diversion of valuable resources away from the landfill, and properly channel materials where these materials can be put to their highest and best use. ZNW supports the traditional reduce, reuse, recycle, recover waste hierarchy, with a preference toward recovery processes that create secondary, tradable commodities over incineration whenever possible. 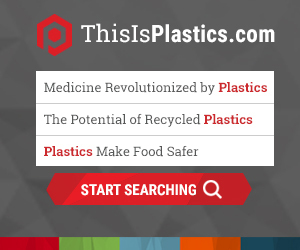 Through this program, PLASTICS hopes to drive the industry toward waste reduction and maximum recovery of resources, consistent with the sustainable materials management model being embraced by leaders and regulatory agencies around the globe. In addition to the environmental benefits, companies that actively manage their material byproducts often enjoy a financial return, can benefit from green marketing opportunities, and foster customer loyalty. While this program is a voluntary recognition program, qualification and ongoing verification is required for participation. This is not a third-party certification program. A number of certification programs currently exist in the marketplace. If successfully implemented, this program will help prepare companies for third-party certification. Because certification programs can vary, it is advised that if certification is the end goal, participants of this program should understand which certification they would like to achieve so they can capture the proper metrics throughout their zero net waste journey. Educate. We want to educate the industry about the value of the byproducts created through manufacturing and conducting business. Enable. The program offers a host of guidance, tools and resources that help participating companies achieve their diversion goals. Recognize. We hope to further incentivize companies to adopt these best practices. The modules and resources contained in this program will provide participants with the strategies and information to seek out the best end­ of-life management options for each facility. What Does Zero Net Waste Mean? The definition of an absolute “zero net waste” system is a management system in which generation of materials that are not salable as finished, commercial products is minimized and in which 100% of such materials generated in the manufacturing process or course of business goes to a beneficial reuse or recycling disposition. In other words, in a pure zero net waste scenario, none of the generated waste is disposed to formal or informal landfill, to incineration without energy recovery, or to deep well injection. More generally, the concept of zero net waste encompasses the idea that all byproducts of manufacturing and business can either be reduced, or managed at end of life in a way that creates a benefit that is higher than landfilling or incineration without energy recovery. PLASTICS and its members believe the term “zero net waste” is best reflective of the values and goals of the industry to eliminate as much material heading to the landfill as possible. We support a life cycle assessment approach to end-of-life decision ­making that places preference on the treatment method that yields the highest environmental net benefit that exceeds the resource intensity (i.e., water, energy, etc.) of the treatment process. Absolute zero net waste is, in most cases, generally not attainable. But near zero net waste is. If implemented correctly, it is possible for companies to achieve 80% - 98% recovery. ZNW also recognizes companies won’t achieve higher levels of success immediately, and attaining zero net waste goals takes time. This program aims to acknowledge the efforts of those companies that are both earnestly on the path to zero net waste, as well as those who have reached that achievement. This program addresses all non­hazardous materials generated by a facility and/or office. Hazardous waste is not included in the program’s scope as there are superseding laws that govern the handling and treatment of hazardous waste. While hazardous waste is not included in the scope of the program, don’t assume that nothing can be done to either reduce the generation of hazardous materials or in some cases direct classified hazardous materials to a beneficial reuse. In many cases, work can be done to eliminate, reduce or reuse hazardous streams of material. We encourage participants to assess hazardous wastes and see where reduction and recovery opportunities might exist. This is not a program that requires independent, third­ party verification for participation. However, there are requirements around demonstration of the activities needed to achieve and sustain success in the pursuit of zero net waste. Qualification and verification occur in two stages. Once a company commits to pursuing zero waste as an office, manufacturing facility or at a corporate-wide level, they must fill out and submit the Qualification document. Completing this step indicates the company has implemented the critical pieces to begin their journey to zero net waste. Once a company documents their successes in diversion, they may submit the verification checklist and supporting documentation. After verification, a company is permitted to use the ZNW logo on collateral as appropriate to the level of recognition they’ve achieved (i.e., a company that achieves recognition for a facility may indicate the particular facilities that have achieved recognition). At the beginning of each calendar year, companies will be reminded to submit the necessary information to demonstrate ongoing, annual verification. Verification seeks to demonstrate ZNW efforts remain active and a company is meeting its diversion goals, or is taking corrective measures if its not meeting goals. All information submitted to PLASTICS for qualification and verification is confidential. PLASTICS trusts that participants will be honest and forthcoming with the information they provide. The underlying goal is to incentivize companies to move to adopt best practices without being onerous. However, it is important that the program maintain high standards and credibility, so information and documentation about a company’s ZNW program is required. While an independent, third­ party audit of a facility or company is not required to qualify, companies should recognize that by taking advantage of the use of the logo to denote their activities in the pursuit of zero net waste, they open themselves up to customer inquiries about their diversion activities. Be prepared to answer questions. Facilities that put the principles of the modules into practice will have no problem demonstrating their efforts. If a facility uses the logo under false pretenses, it will result in revoking the use of the ZNW logos. Minco Group and Berry Global were the first two companies to be recognized by the PLASTICS Zero Net Waste Program. In these case studies, learn about the challenges, opportunities, and benefits they found through their implementation of the program and find the inspiration you need to get started on your own ZNW journey. If a company wishes to pursue the company­ wide recognition, they must be implementing Zero Net Waste practices at all offices and facilities owned by the company. The second level of recognition is for individual manufacturing sites, or facility recognition. The third level of recognition is for companies that would like their headquarters (non-manufacturing) or other office sites certified. Every company that has a facility or office qualified for the ZNW program will be listed on the ZNW webpage. Once a company demonstrates that they qualify for the program, they will have access to modules, tools, resources, logos for use on their webpage, marketing materials, collateral and other materials.